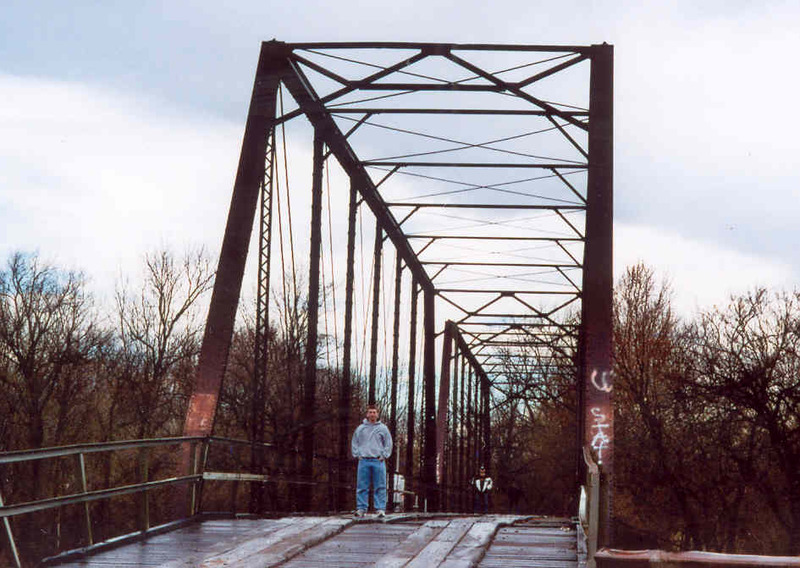 Neosho River Bridge at Steppe's Ford, Ottawa Co. 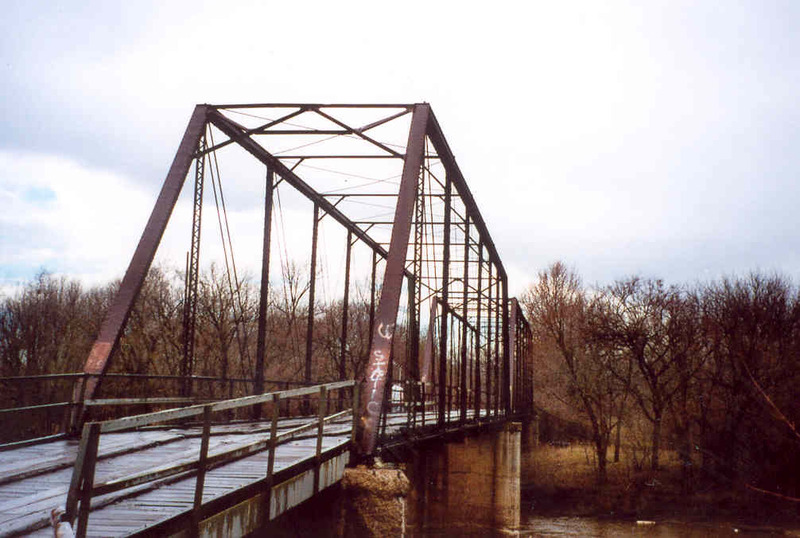 This bridge is the oldest truss bridge in the state remaining that was not originally constructed as a railroad bridge. 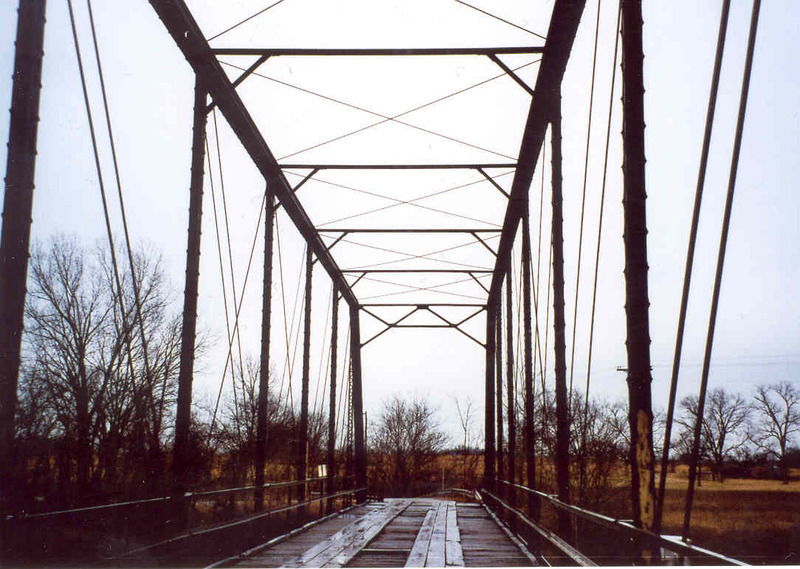 Built in 1901 as a toll bridge across the Neosho river at Miami, Ottawa County, it was moved in the 1920's to a location west of Commerce, in the same county to cross the same river at a location known as Steppe's Ford. The two spans are each 156 feet in length, having eight 19'-6" panels. The trusses are very tall, resulting in portals and sway bracing that have never been struck by tall vehicles. Our first photo, below, is looking west and shows the east approach and the east span. 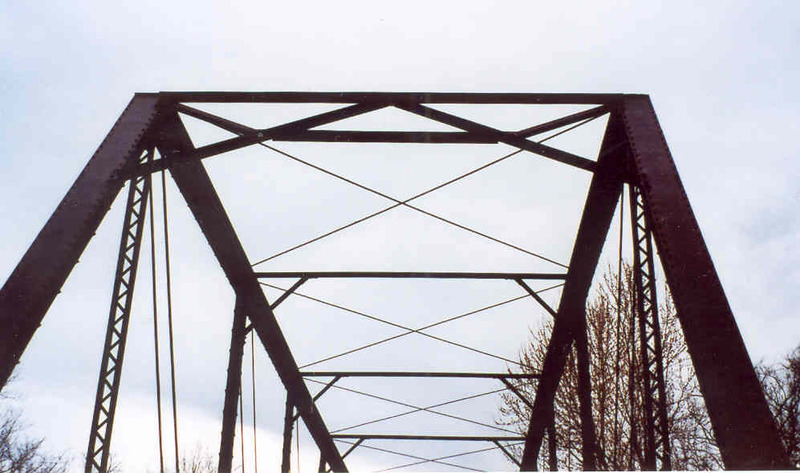 The truss spans are pin-connected and of the Pratt design. Given the fact that they are 103 years old, they are in excellent condition. Below, a view from the deck, looking east. The upper lateral system is very simple and lightweight. Struts with knee-braces connect the intermediate posts, and tension rods make up the diagonals. Overall, the bridge is built very light, yet sturdy. Above, David, our bridge expert and resident engineer, stands at the western portal. For our Ottawa County bridge hunt, we had a total of four persons go. In the photo below, three persons stationed themselves under the portal strut while I took the photograph. It is very hard to see, but David is standing at western most portal, Ken is the fellow standing mid-bridge, and actually on the eastern span, and Kyle, the fellow in the foreground, stands below the east portal of the east span. Thus, we produced a perspective scale of the structure. Below, the portal, silhouetted against a grey sky. 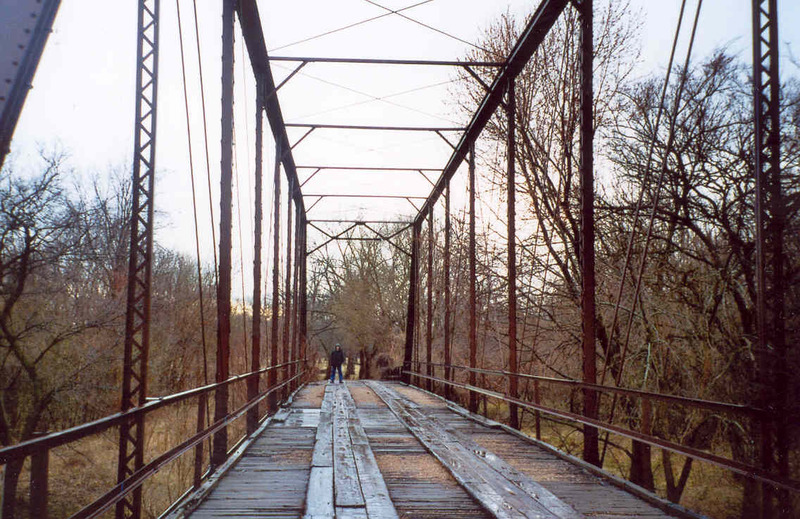 Although simple and lightweight, this bridge has demonstrated it ruggedness and usability for more than a century now, having been moved nearly 20 miles and cope with the transition from horse-and-carriage to automobiles.